Every semester, the Personal Finance class splits into groups to complete a paper slide show to reinforce the 5 Foundations of becoming wealthy. They have to write the script, make the slides and practice before the final video is made. This semester, although it was a tough decision, the class voted on their favorite to be shared with everyone. Winners of the video being presented are Billy Tidyman, Katryna King and Kylee Garrett. students, parents, and community members, we NEVER would have raised $2814 for the Kubo family. 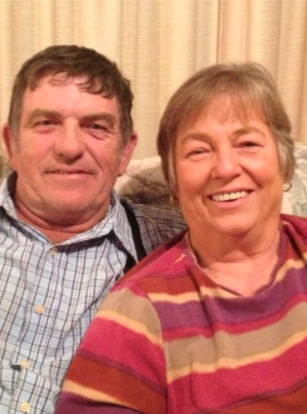 I know without a doubt that the money you all raised has not only lifted a piece of the financial burden that they are feeling, but it has raised their spirits knowing that they have a community that is backing them in the battle the family is currently going through. Your efforts are appreciated more than you will ever know! Thank you!" Chadron Public School students at all four buildings are challenged to raise money to offset costs to the Steve Kubo family who are coping with medical treatments and expenses for a member of their family. Steve Kubo is a long time employee of Chadron Public Schools and works in all four buildings as well as drives bus for many of our student activities and field trips. District students will start today with a fundraiser called Penny Wars. This will be a competition between the High School, Middle School, Intermediate School, and the Maintenance Crew. The Primary Building will be doing a Penny War between each of their classrooms. For those of you whom have never heard of a Penny War, here are the rules. Each building or classroom will have a container for themselves as well as a container labeled for each of the other schools. The goal is to deposit as many pennies as they can in the next two weeks into their container. with each penny counting as 1 pt. towards their total. At the same time they can deposit any silver colored coins into the other containers of the other teams or classrooms. This will be a negative point value for whomever’s container they put it in. For example, if a high school student puts a quarter in the middle school bucket, that would be -25 pts. toward the middle school’s overall point value. This competition will run for the next two weeks. At the end of the two weeks, the goal is to have more points than any other building or classroom. We would love to get parents and community involved in this great fundraiser. Hopefully you will see containers during Parent Teacher Conferences, feel free to stop in at any building to help contribute, and/or help your kiddo bring pennies or silver coins to their buildings!! ALL proceeds will be given to the Kubo’s to use however they need to as they go through this difficult situation. We hope this letter finds each of you and your families enjoying the beautiful fall season! Congratulations to our 2017 Homecoming King and Queen candidates! The Queen candidates are: Kat Dodd, Alpine Hickstein, Dana Dunbar, and Kylee Garrett. The King candidates are: Coy Bila, Sam Rischling, and Billy Tidyman. Please stop by Mrs. Girard’s room after school. Also, Congratulations to our 2017 Homecoming attendants!! Freshman attendants include: Kennady Stack, Allie Watson, Cobie Bila, and Sawyer Haag. Sophomore attendants include: Savanna Sayaloune, Dawn Dunbar, Mikayla Wild, Trevor Berry, and Cooper Heusman. Junior attendants include: Haley Mahr, Kellie Waugh, Keelynd Clinton, and Luke Tiensvold. We'll host a Financial Aid Presentation at 6pm in the Auditorium for parents of juniors and seniors. In our Advanced Biology class, we experimented to find out if the quality of the soil or what type of soil was more conducive for plant growth. 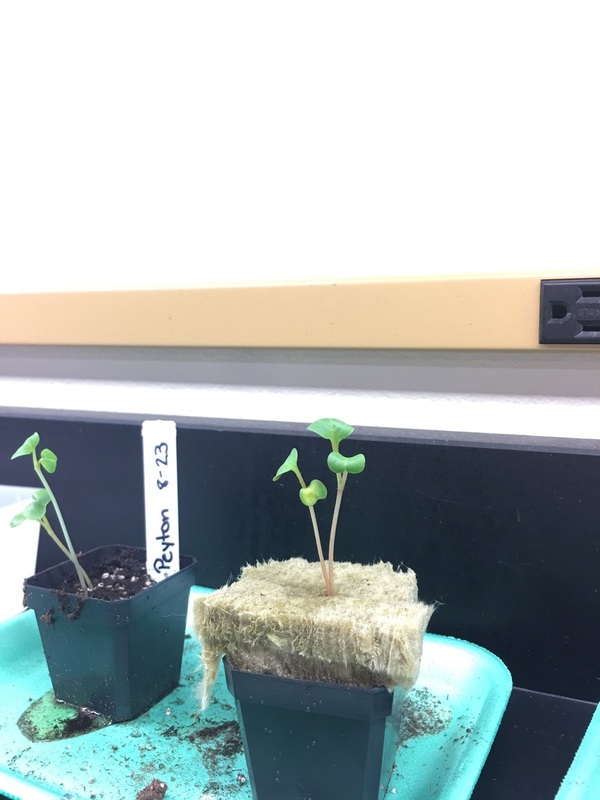 We each tested four radish seeds, two in a rockwool cube, and two in soil. Both were watered with a solution of water and nutrients. The experiment was comparative and competitive. We planted our radishes on the 23rd of August. Many of our seeds sprouted on the 24th and 25th; however, some would remain dormant until the 30th and some even until the 1st of September. Regardless, after the 25th came a weekend. After the weekend, most sprouts had grown to an inch or more. Mine, for example, was 1.25 inches. We all observed, daily, our leaf color, which could vary from red and shades of green. At this part of the experiment, we were observing daily and watering our plants. Growth continued as usual until Labor Day Weekend. Tragedy struck as the lights keeping our plants alive and healthy were turned off. 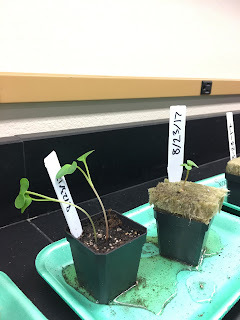 After we arrived to class, some plants were dead - despite our flawless 100% germination. Their stems had changed color, and the plants had leaned over. Sadly, some of our seeds that were originally dormant had just sprouted before the weekend - those had either grown or died. However, over the weekend, the other seeds in their soil or soil substitutes had sprouted, and grown. This is because plants gather nutrients during the day and grow during the night, and we introduced a very long night cycle to the plants. The deaths did spell the end of our experiment. With many plants dead, it seemed mostly pointless to continue the experiment. 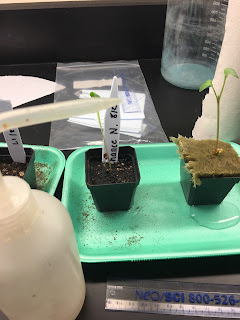 We learned, through this experiment, that it mattered more what was put into the soil and how much light the plant received than what the plant was in with regards to soil. Homecoming week is a fantastic opportunity to show Cardinal Pride, and the good news is that it's right around the corner! Don't miss all of the fun festivities taking place from September 18th to the 22nd!!! Last year, Chadron High School tried something new with The Burning of the C, and we are happy to announce that we will be holding it again! It will take place Monday, September 18th, after the JV Football game. It will be burned in the high school parking lot and the dance team will perform. Student Council voted, and here are the chosen dress-up themes for each day of Homecoming Week. Don't forget to put on a costume and show your school spirit! Monday (9/18)- Movie Monday Dress up as your favorite movie character! Tuesday (9/19)- Teacher Tuesday Dress up as a teacher in the school. Wednesday (9/20)- Wilderness Wednesday Wear a costume of an animal, plant, safari tour guide, etc. Thursday (9/21)- Nerd vs. Jock (Flare Out) Dress up as a nerd or jock (crazy sports apparel). Friday (9/22)- Spirit Day! Put on red, white, and black Cardinal gear and get excited for the football game and dance! Friday afternoon (during school), students will gather in the High School gym for fun games and competitions organized by the Student Council. Stay tuned for more information. The homecoming football game (Chadron vs. Gothenburg) will begin at 6:00 pm. Make sure to come and support your team! Also, during halftime, the homecoming court will be announced, and the king and queen will be crowned! Voting will take place soon. The homecoming dance will take place on September 22nd (after the football game) from 9:00 pm to 12:00 am. Admission is $5. For further information about dress please reference the posters hung around the high school. Come have tons of fun at the “Starry Night” homecoming dance! The ASVAB (Armed Services Vocational Aptitude Battery) will be administered to ALL juniors during the morning of Wednesday, September 27th in the CHS auditorium. The ASVAB is a multiple choice tst, administered by teh Unites States Military Entrance Processing Command, used to determine qualification for enlistment in the United States Armed Forces. Although the test is administered by the military, it is not a requirement that test-takers with a qualifying score enlist in the armed forces. The ASVAB contains 10 sections: General Science, Arithmetic Reasoning, Word Knowledge, Paragraph Comprehension, Mathematics Knowledge, Electronics Information, Automotive and Shop Information, Mechanical Comprehension, Assembling Objects, and Verbal Expression. Student scores are often used to correlate SAT and ACT scores as well as for career exploration and future transition planning. Please have your student (junior) in the high school auditorium by 7:45 this day! The Preliminary SAT, also known as the PSAT/NMSQT® (National Merit Scholarship Qualifying Test), is a preparatory version of the SAT exam. You can only take the PSAT once per year, and most students take the test in both 10th and 11th grade. If you earn a high score on the PSAT your junior year, you could qualify to receive a National Merit Scholarship—$180 million dollars in merit scholarships are awarded to students each year! Testing your skills in reading, writing, and math, the PSAT is 2 hours and 45 minutes long. Unlike the SAT, the highest score possible on the PSAT is 1520. CHS students can take the PSAT on October 11th 7:45 a.m. in the HS library. The PSAT exam is an optional test and is $16 per student due to the HS Office before exam date. Please contact the Cardinal Counseling Office if you would like your student signed up to take this exam. The ACT college readiness assessment is a standardized test for high school achievement and college admissions. The ACT consists of four mandatory sections: English, Reading, Math and Science, and one optionally Writing assessment. The four main tests are scored individually on a scale of 1-36, and a Composite score is provided which is the rounded whole number average of the four scores. Chadron High School and Chadron Sate College offer multiple Saturday testing dates throughout the year. Students can register for Saturday exams by going to www.act.org and creating an account, tests are $42.50 an exam unless student is on free and reduced lunch (see counseling office for a fee waiver). All juniors will be given a free ACT exam on April 3rd during the school hours. 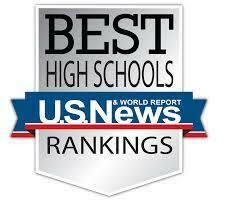 These scores are vital for college admissions and scholarship opportunities. The CHS counseling office recommends taking the ACT as often as possible for increased score opportunities. The next upcoming test at CHS will be given October 28th and students must be registered online no later than September 22nd. Chadron High School Counseling Office will host it's annual Financial Aid Presentation and Fall Senior/Junior Meeting Thursday September 14th at 6:00 p.m. in the High School Auditorium. This meeting will include information regarding: Financial aid, the college application process, scholarship hunting, and the FAFSA. Chadron High School will be partnering with Andrew Hunzeker from EducationQuest to provide parents with the most up to date informations regarding the college process. Senior students who attend an EducationQuest Financial Aid Program (FAP) will be eligible to register for a $500 scholarship. EducationQuest will randomly select six student winners on or around December 1, 2017. EducationQuest will deposit the $500 scholarships into the winners’ NEST 529 College Savings Plan account. Winners who do not have an account will need to set one up. We look forward to talking to both students and parents Thursday night during parent teacher conferences! Patriot Day happens every year and is observed as the National Day of Service and Remembrance. It lands on September 11th of each year in memory of the 2,977 killed in the September 11th terrorist attacks in 2001. A bill to make a national day of mourning on September 11th was introduced in the U.S. House on October 25, 2001, but it wasn’t actually declared as Patriot Day until 2002. Today, the American flag is flown at half-staff at the White House as well as at all U.S. government buildings. It is also encouraged that American flags get hung on the houses of Americans throughout the country. In Advanced Biology, over the course of the past week, we students have conducted a lab observation including an egg to learn about diffusion. This experiment had three main steps to it. The first step was placing a normal, straight-out of the carton egg in vinegar to let soak for a few days. The class made hypotheses about what the outcome would be from soaking the egg. After two days of the egg soaking in the solution, we observed the egg, and the vinegar, and recorded what we saw. We then conducted these exact same practices twice more, in two different liquids; maple syrup, and distilled water, using the exact same egg for the entire lab. Each time, letting the egg soak in the liquid for a few days, writing a hypothesis of what we think the outcome will be, and then observing the outcome and comparing it to our hypothesis. Through comparing the outcome to our original predictions, we learned to reason why the egg reacted to the liquid as it did. As for the outcome of each soaking; first off, the process states that things of higher concentration diffuse to points of lower concentration. This law proved true for the entire lab. When soaked in vinegar, the egg’s shell changed states, due to a reaction of the makeup of the shell, and the acidity of the vinegar. The shell changed from a solid to a foamy liquid floating on top of the vinegar. Due to the solid shell changing states, this left only the membrane to keep the egg intact. We observed that the membrane was semi-permeable, meaning the vinegar would diffuse into the egg due to concentration differences, and not let it leave, causing the egg to swell and grow in size. Next the egg was washed off and soaked in maple syrup. The maple syrup is made mainly of three ingredients; water, sugar, and some food coloring. It was obvious through observation that the vinegar in the egg diffused out, and the food coloring went into the egg, all due to concentration differences. This caused the egg to become shriveled, and darker in color, and the syrup around it to become lighter in color. Lastly, the egg was washed off and soaked in distilled water. Yet again, because of the differing concentrations of the liquid inside the egg, and outside of the egg, the water diffused into the egg, causing it to grow in size, and the food coloring diffused out of the egg. This caused the egg to become lighter in color, and the fluid around it to become slightly darker. The outcome of soaking the egg presented a new excitement for observation every few days. Watching the egg change, in size and color, made the class eager to learn about why the changes took place. The purpose of the diffusion lab, was obviously learning about the diffusion, and we did just that. 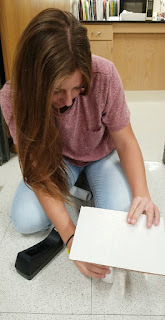 Each time we observed the egg, we discussed how diffusion affected the egg’s circumstance/outcome, as well as how diffusion may occur in the next soakings of the egg. This lab taught the class not only about diffusion and how that occurs, but also about the importance of observation and justifying your hypotheses. The block two trigonometry class participated in an experiment today dealing with the strongest geometric shape. They were told in class to go home and search the strongest geometric shape. A few days later they started a project of how many bricks a single sheet of paper can hold. They were told they can cut the paper, tape it, or fold it however they would like as long as the figure they made was at least 5 inches off the ground. They were given 20 minutes to construct what figure they would use to test this. After being constructed, they were all tested for the number of bricks they could hold. Some held 1 or 2, while others held 0. 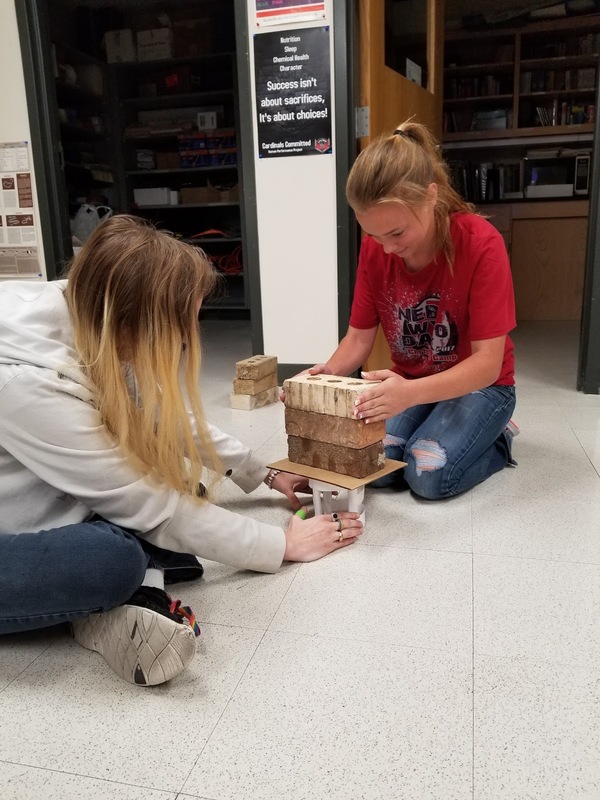 The highest amount of bricks in the second block class was 3 bricks. This project was a very good experience for the kids and provided great information for them. A few pictures include individuals making there structure, and others testing the structure to see how many bricks the single sheet of paper can hold. At about 9:20am on Sept. 7th we issued a district-wide lockout due to notice that law enforcement officials were searching the community for a suspect wanted for questioning of a dangerous crime. The lockout was lifted around 1:00pm when evidence indicated the suspect had left town. Lockout is a critical element in the Student Response Protocol (SRP - iloveyouguys.org) adopted by Chadron Public Schools and many other schools and businesses across the nation. 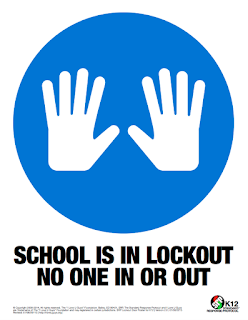 Lockout is called when there is a threat or hazard outside of the school building. Common examples for using a Lockout is for violence or criminal activity in the immediate neighborhood, or a dangerous animal near campus. 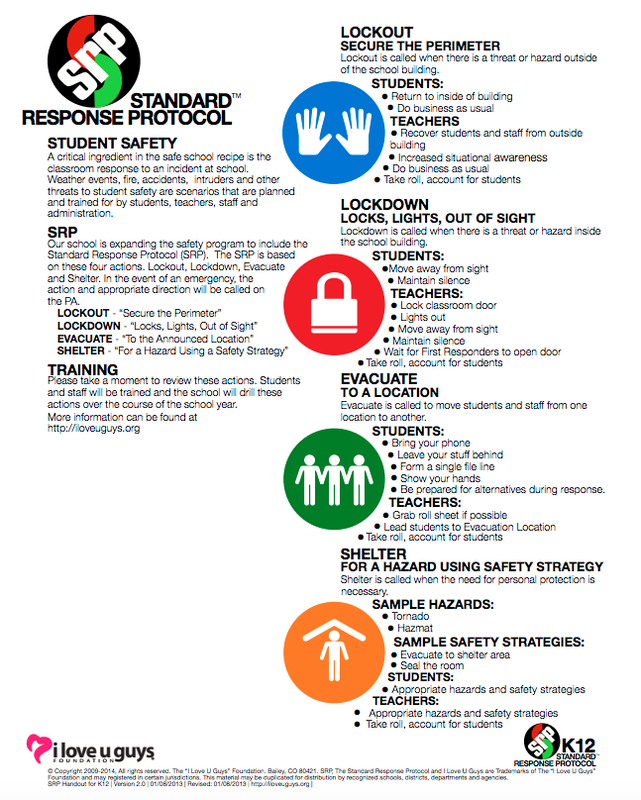 The Lockout protocol demands bringing students into the main building and locking all exterior doors. Classroom activities inside the building continue uninterrupted when/where possible. Depending on the circumstances, it will be determined whether students are allowed to leave the building escorted from the front door with a parent, or whether students are not allowed to leave at all. We understand this will create an inconvenience at times for students and parents, but it is important for us to ensure everyone's safety. Announcements for a Lockout are made by administration within the building, but we'll also make efforts to communicate via our Remind text messaging services which each principal provides for students, parents and patrons. 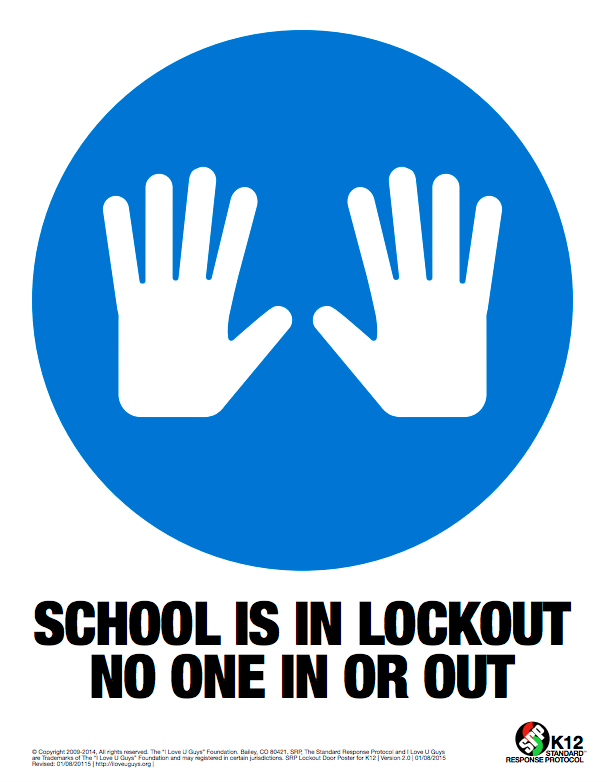 A Lockout differs from a Lockdown because inside the building, classes and routines continue as normal as possible. However, during a Lockdown, teachers and students will look to escape a threat that is inside the building or they will lock and barricade themselves in secure rooms. We want to thank everyone for their patience and support today for our protocols to protect students and staff! For more information on the Standard Response Protocol, please visit the iloveyouguys.org website. If you haven't signed up for my text messages, here's the information! Throughout the school year, I send text reminders to anyone who has signed up about schedule changes, special events or school closings. 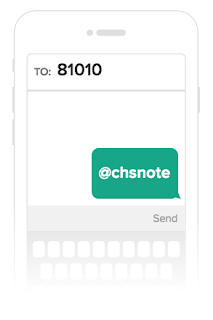 If you'd like to add yourself to the list text "@chsnote" to the number "81010" as shown below. Our staff at Chadron Public Schools uses Remind for secure text messaging services. In this plant anatomy lab, we studied the major contributing pieces in monocot and dicot leaves, stems, and roots. Under the microscope, we could examine things such as the pith, cortex, upper and lower epidermises, and many more important parts. Also, the different lens powers of the microscope revealed the many characteristics Labeling these parts gave us a much better understanding of where their location is inside of the plant. There are a few basic, distinct differences that set the monocot and dicot apart from one another. Monocots (usually consisting of grasses) main characteristic that contrasts from a dicot is that it has only a single seed, while the dicot contains two seeds. In the root, the dicotyledons xylem formed a cross-like shape, while in the monocotyledon, the xylem formed a circle. In the stem, the dicot has net venation, opposed to the parallel venation that is found in the monocots. Also in the stem, a major visual difference between the two is the arrangement of the vascular bundles. This is usually the easiest way to differentiate between the monocot and dicot. The monocot has scattered vascular bundles, which shows no consistent pattern in how they are formed; in comparison, the dicot has radially-arranged vascular bundles, which forms a relatively circular pattern. Finally, in the leaves, the major differentiating factor is the presence of the palisade parenchyma. The chloroplast within the palisade parenchyma absorbs light energy and carries out the majority of photosynthesis for the plant. While this structure exists in the dicot leaf, it is non-existent in the monocot. All of these aspects of the monocot and dicot are the primary ways to differentiate between them. As you can see, there are many different pieces that helped us understand how the monocot and dicot differ. Using the microscope to examine the contrasting parts of the roots, stems, and leaves, and labeling the functions of them as well, made it clear that, while they might be very different in structure and appearance, they both contain important pieces that are vital to the operation of monocot and dicot plants.